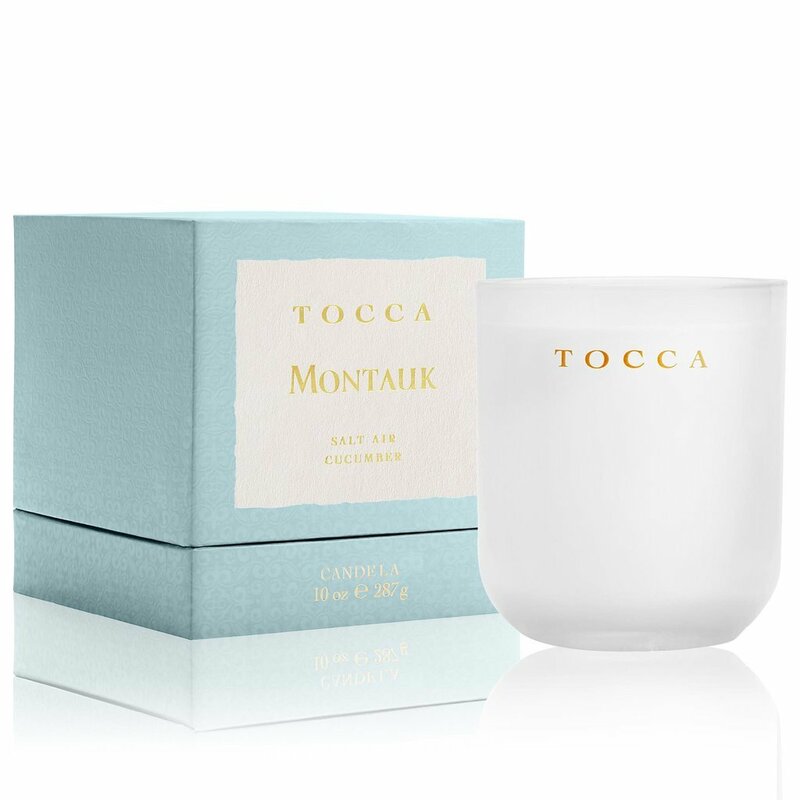 Tocca Montauk Candle lets you feel the longboard beneath you as you experience the natural liveliness of botanical cucumber, wild mint and fresh salt air. The initial contrast of dewy greens and Atlantic clean air yields a bohemian soul of beach apple, warm jasmine and crisp violet leaves, all wrapped in a cloud of beach musk, violet flower and velvety sandalwood. There are a few very rare, very wondrous places in the world that have in time become legendary in their own right. Places of extraordinary natural beauty, places where intriguing discoveries occur, places where great love have come into being. Inspired by these legends, Tocca is delighted to introduce their latest Voyage Collection. Jars are a luxurious thick frosted glass, and can be used to hold jewelry or décor long after the candle is done.